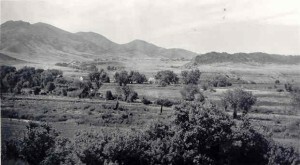 1866 The land where the Center is now was first owned by Ramona Moreno. Ramona was initially given the land through An Act of Congress, dated March 3, 1855, which granted land to “soldiers who have been in the military service of the United States.” (Assignment dated May 1, 1866). She was the widow of Rafael Moreno who served in the Navajo Indian War. In 1866 she assigned the land to Oscar E. Lehow. 1866-1894 The Lehow family owned the property and raised cattle and cultivated about forty acres of wheat, oats and barley. Oscar Lehow passed away in 1894 and the remaining family became absentee owners during the twentieth century. (see State Register Nomination, p. 5). 1876 Colorado became the 36th State. 1877 The Colorado, South Park and Pacific Railroad was built from Denver along the Platte and up Waterton Canyon to Leadville. The tracks were taken up during WWII for scrap metal. 1881 The Highline Canal construction begins near the mouth of Waterton Canyon. It was completed in 1883 and used for irrigation. At the time, 20,000 acres of land were irrigated by 165 separate head gates. 1938 Earl C. Maddox, Sr. purchased the property from Annie Lehow Little, Oscar Lehow’ s niece. 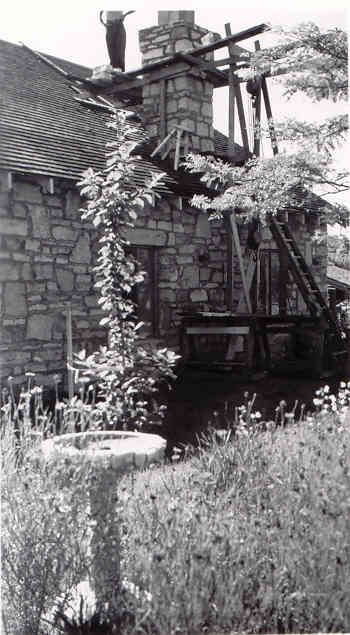 Maddox erected the present stone-clad house to serve as the main ranch house for the property. The building included living quarters in its northern part and a garage in its southern part. He also built a milk barn (no longer existing) and had about 85 head of dairy cows. 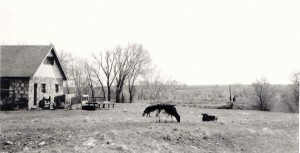 1943 Constantine K. and Bernice Verdos purchased the ranch from Maddox. 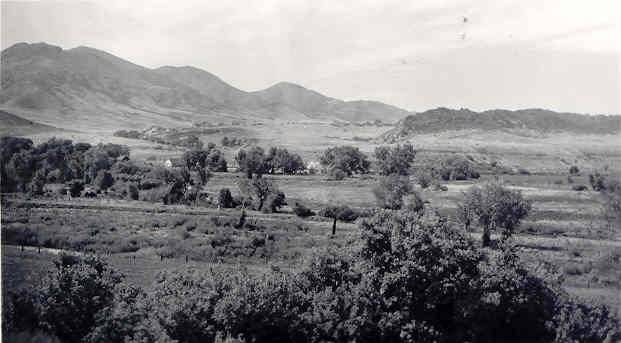 The Verdos Ranch covered more than 4,000 acres and extended from the S. Platte River west into the foothills and south to the northern edge of Kassler. Mrs. Verdos called the property the Red Wing Ranch. Verdos also purchased the Evalone Dairy at Santa Fe Drive and Quincy Avenue and converted it to the Silver Wing Restaurant. The ranch supplied the restaurant with essential foodstuffs including cattle, milk cows, and frying chickens. 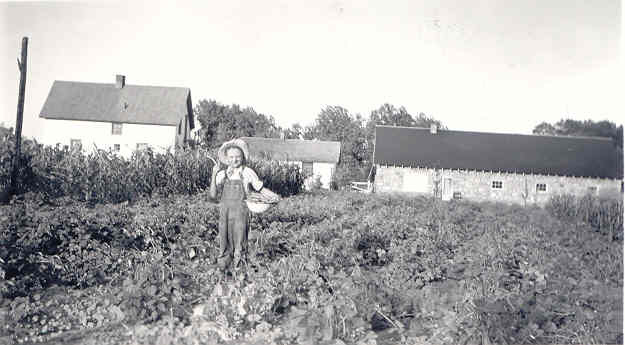 He also raised alfalfa, hay, corn, barley, and oats and had a vegetable garden so that he could be self-sufficient in regard to his ranching and restaurant operations. In addition to the ranch house, the property included a number of other ranch buildings (not in existence now): milk barn, chicken coop, pump house, ice house, shop, frame house and bunk house. 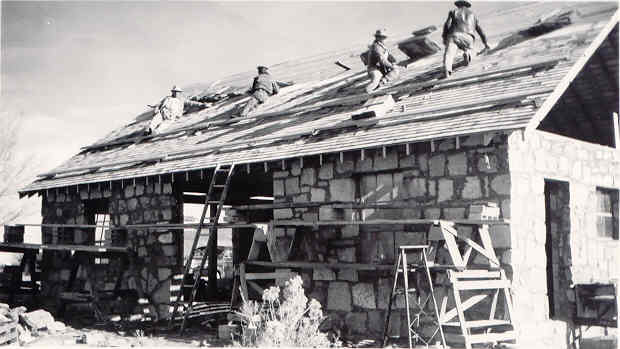 1949 The garage section of the ranch house was remodeled to make it into a living space. A large fireplace and chimney were added. A new separate detached garage was erected to the south using the same construction technique as the ranch house. The stone came from a quarry on the west side of the hogback (oral history from Rusty Simon who built the garage and chiseled out the stone). 1955 Verdos sold the ranch to Glenn L. Martin Company (now Lockheed Martin) to be used as part of the facilities for the designing, building, and static testing of Titan 1 missiles. 1956 The ranch house was used as an office for the company’s project manager during the initial construction of the plant facilities to the west. The frame buildings on the site were all razed. 1961 Martin established a veterinary laboratory at the ranch site which included kennels, a greenhouse, an incinerator and a waste disposal system. The laboratory was part of Martin’s space medicine effort which included experiments on rabbits, dogs and primates, as well as hydroponic gardening. 1965 Catastrophic South Platte River flood. Mid 60’s Site and buildings sold to U.S. Army Corps of Engineers as part of the Chatfield Dam Construction Project. 1967 Construction of Chatfield dam and reservoir begins. 1972 Chatfield reservoir begins collecting water. 1974 Colorado State Parks subsequently leased the site and facilities to enhance public access to the Chatfield State Park. 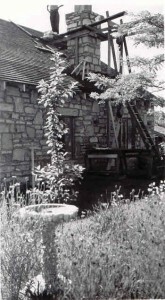 State Parks used the facilities for the Chatfield State Park headquarters, maintenance, storage, and workshop (see 1998 State Historical Fund Application). 1975 Chatfield State Park opens. 1997 Lockheed Martin Discovery Pavilion was dedicated as a trail head to the nearby Colorado Trail, Highline Canal Trail and the Platte River Greenway Trail. 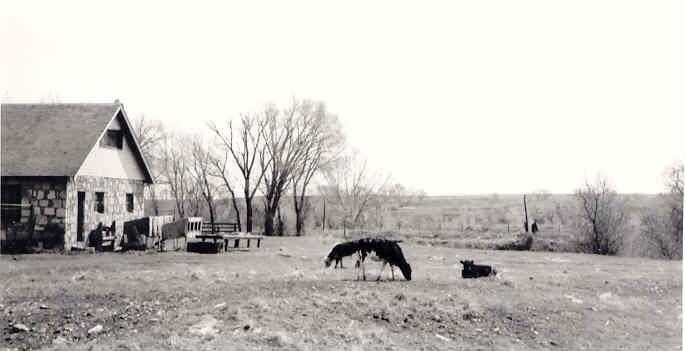 1999 Audubon Society of Greater Denver (ASGD), entered into a lease with Chatfield State Park for 8.6 acres around the Discovery Pavilion (including the buildings). ASGD also leased office space in the basement of a house at the north end of the park near the Corps offices. 2003-2017 Buildings were renovated by ASGD and used for education, programs and outdoor classes.